Maggie is a wonderful lady who take care of her clients so well. She is very knowledgeable and makes sure everyone understands the history of this area,the old and the new. She was on time, and ready for our group to learn all about Gdansk. Made sure we were comfortable with all that we did. We couldn't ask for anything better. We spent a wonderful day with Maggie and would recommend her highly. Driver was excellent also. If in Gdansk get in touch with her, you will not be disappointed. Maggi was a wonderful and enthusiastic guide in the Gdansk area. She demonstrated flexibility when our ship chose to dock in Gdansk rather than Gdynia as originally planned. She uses a separate driver to provide convenience and eliminate delays. She is very well informed and took excellent care of us. Very informative tour with an honest and warm-hearted guide and driver. Thank you. TOUR GUIDE RESPONSE: Thank you Annemarie. It was also nice time for me and great pleasure to be your guide. Have a nice vacation. TOUR GUIDE RESPONSE: Thank you and best regards to all of you. It was nice to meet you in Gdansk. Maggi had a nice van and driver, and worked very hard to score some very special experiences for us in Gdansk- including a photo op with the mayor! She's very energetic and fun to be with. She is a very passionate person and her heart is into it very well informed and takes excellent care of her guests. TOUR GUIDE RESPONSE: Thank you for your comment. It was my pleasure to have the possibility to show so nice people the city I like very much. Please give my best regards to all of you. Excellent tour with Maggie. She had researched my family history so the tour was very customised to the regions my ancestors were from. Was great to see the church my ancestors worshipped at, and the baptismal font that was used back in the day. As we were visiting very small villages there would have been no way I could have done the tour myself, so it was well worth while. TOUR GUIDE RESPONSE: Thank you Sherry for your review. During the registers investigation I found that your ancestors lived in a few villages around Kokoszkowy and I wanted to show you as much as it was possible in a short time. You came here from a distant country and it was pleasure to show you places where your ancestors were born, married, lived and prayed. Malgorzata was a fantastic guide! Everything went very well and I was completely satisfied. TOUR GUIDE RESPONSE: Hi, Michael. Thank you very much for your nice rating. The meeting with your family was extra ordinary pleasure for me and I wish I will have another opportunity to meet you. Xander stole my and Ewa's heart. All the best for all of you. 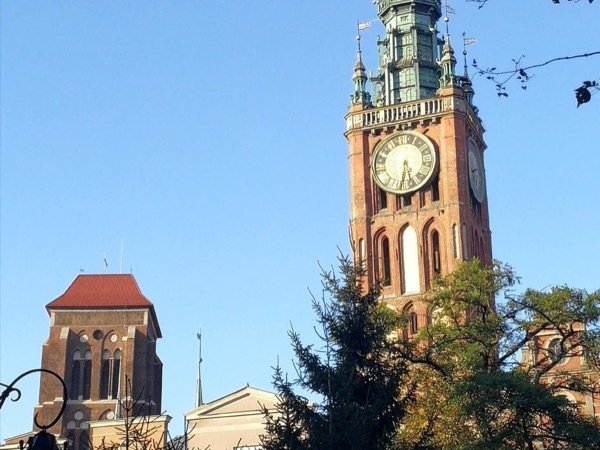 Our tour of Gdansk, Poland was the biggest and best surpise of the ten countries we visited on our cruise. Maggie did an excellent job of showing us the sights and picking things we told her we were interested in seeing. She also showed genuine concern from my walking issue (stroke 7 years ago). She picked an excellent restaurant in Gdansk for our "local Polish" lunch of Perioges. it was an enjoyable day. The vehicle and driver she hired for our tour was excellent. Very knowledgeable and helpful; worked hard to meet our individual needs and requests. Enjoyed the tour very much. Words cannot express the amazing ancestory tour we had with Malgorzata. It was magnificent in every way. She communicated with me to make certain she researched all the places we wished.Nothing was too much trouble for her and she contacted people ahead to be sure churches were open. She was cheerful, organized,extremely efficient and did everything in her power to ensure we had a tour to remember. Her driver Adrian was an additional bonus as his cheerful engaging attitude complemented that of Malgorzata. TOUR GUIDE RESPONSE: Dear Cheryl, Thank your very much for your pleasant words. Your group was so nice and your will to see the places of your ancestors so much appreciated and touching that my humble person was a little addition only. Please pass my best regards to all of you and I wish you have more time by next occassion to meet you and to see Poland again. Have a nice time in Europe.